This resource uses and builds on the Glencoe virtual learning interactive provided by McGraw Hill. Access to the interactive is free and has free questions and tables available. This resource incorporates those free resources as well as includes 2 digital drag & drops as well as a Google slides template for students to create a digital flip "foldable" (Rubric included). 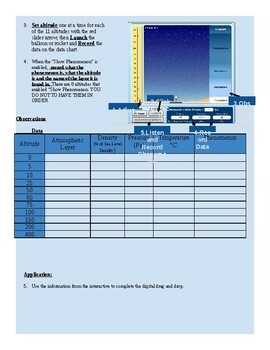 This resource introduces atmospheric layers, reviews, the main points of the interactive while providing students with virtual data collecting experience and then are encouraged to integrate what they have learned by creating a digital foldable. 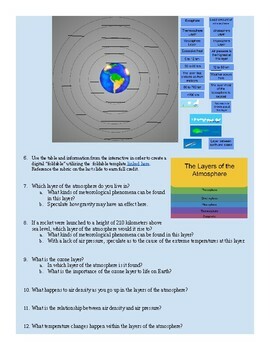 Use this editable resource to introduce or review the layers of the atmosphere. 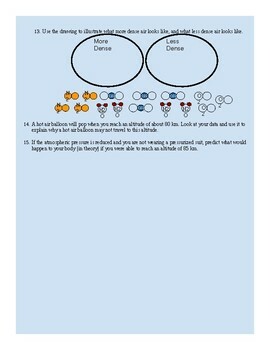 This document provides easy access to copy document to Google Suits.